How can you help your undergraduate civil engineering students grasp complex concepts of structural engineering more quickly and thoroughly? A sure way is to offer them engaging, hands-on lab experiments that leap past dry theory and bring seismic challenges to life. According to a large and diverse group of professors, a new level of student engagement and understanding is achieved when they perform earthquake simulations with Quanser Shake Table technology and hands-on experiments in their labs. These dynamic teaching tools can help everyone go beyond the conventional content of everyday theoretical courses. They help “shake things up” for students and allow them to develop an understanding of structural dynamics and earthquake engineering principles through hands-on experiments in addition to theory. Three Shake Tables are available from Quanser. 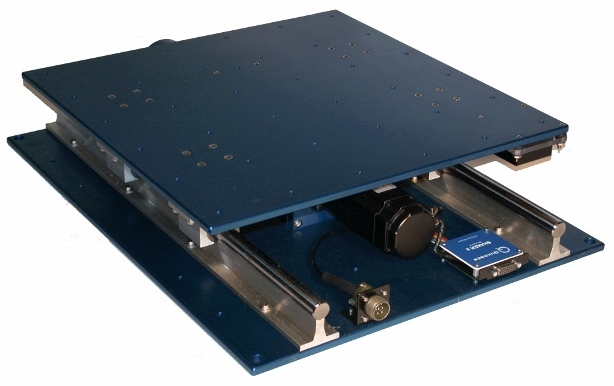 The Shake Table I-40: Compact, portable yet powerful, this single-axis shaker is suitable for simulation of earthquakes and evaluation of active mass damper performance. It is designed for use in undergraduate courses. The Shake Table II: A heavy load shaker, this bench-scale table simulates earthquake movements along a single axis and can move a substantial 7.5 kg load at 2.5 g. It features a wide surface which can accommodate several structures and increase the complexity of your experiments. The XY Shake Table III: This is a heavy load dual-axis shaker that is ideal for advanced research in structural dynamics and earthquake engineering. It delivers high acceleration and velocity for a lab’s customized structures and can accelerate loads up to 100 kg at 1 g.
Quanser Shakes Tables are being used for teaching and research by professors all around the world, including many who work in regions affected by volatile seismic activity. Here’s how three professors are currently making use of Quanser shake tables. In future blog posts, we’ll focus on each individual shake table and offer further examples of what professors are accomplishing with them. Professor Kelly Cohen‘s Shake Table I-40 is put to work in a number of ways in the School of Aerospace Systems at the University of Cincinnati. To begin with, he uses it to teach vibration control to undergraduate students in aerospace engineering. But Professor Cohen has also integrated the ST I-40 within a remote lab setup in which offsite students can log on, tune different control parameters, view the measured response on the graphical interface and examine the results in real-time via webcam. Professor Cohen can also view their data once it’s saved. As if that weren’t enough, Professor Cohen incorporates the I-40 in outreach programs aimed at elementary and high school students interested in science and engineering. The University of Cincinnati selected the Shake Table I-40 for its versatility, portability and open-architecture design. Professor Cohen appreciated the peace of mind that came with being able to acquire the ST I-40 as a turn-key system that included the shake table, a PC, software and in-house installation and testing. The Shake Table II is a very popular lab tool at University of California, Davis, according to Nima Tafazzoli, postdoctoral researcher in the school’s Department of Civil and Environmental Engineering. It’s used for teaching, research, and outreach. At the undergraduate level, it helps professors teach classes and seminars in civil and environmental engineering. At the graduate level, it demonstrates the response of single or multiple degrees of freedom structures subjected to earthquakes. As a research tool, the Shake Table II is involved in several projects at Departments of Civil and Environmental Engineering as well as Mechanical and Aeronautical Engineering when dynamic load is required to be applied to the system. The Shake Table II has also been featured in outreach programs that provide educational opportunities and information for a wide range of interest groups, including elementary through post-graduate students. What’s more, it is part of UC Davis’s annual entry in the Undergraduate Seismic Design Competition held by the Earthquake Engineering Research Institute (EERI). UC Davis chose the Shake Table II because it is easy to set up, use and transport, without requiring the work of a group of lab assistants. They find it an engaging way to demonstrate the actual behavior of structures and see it as safer to use than most lab equipment, especially with inexperienced students. As a member of Dalian University of Technology’s Faculty of Infrastructure Engineering in China, Professor Luyu Li uses the Shake Table III to conduct earthquake engineering research. One of his areas of interest involves conducting nonlinear vibration seismic performance tests on steel structures. He was familiar with the Quanser Shake Table II from his PhD studies and at one time stacked two ST II’s together to achieve xy motion. He then acquired the xy Shake Table III because it was a dedicated xy table with higher performance (heavier loads, weight bearing, higher acceleration, and greater stroke) compared to the stacked ST II arrangement. Besides the xy Shake Table III, Professor Li uses Quanser data acquisition devices, accelerometers and QUARC® control design software with MATLAB®/Simulink®. 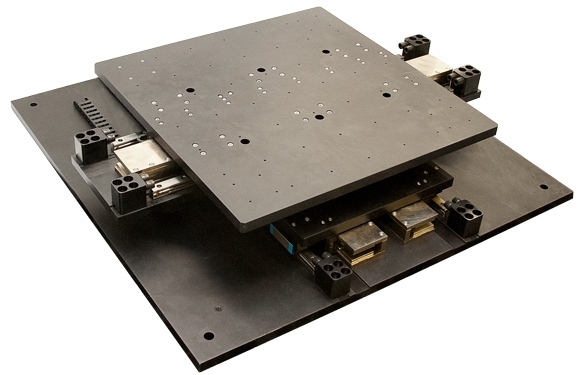 Key factors that led to his choosing Quanser xy Shake Table III were its easy-connect capability, its compatibility with the Simulink environment, which he finds very suitable for control applications, and its high bandwidth using linear motor actuators. Stay tuned to this blog for upcoming individual posts on the Quanser Shake Table I-40, Shake Table II and xy Shake Table III. For more information about Quanser Shake Table solutions, click here.